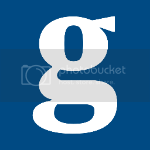 Several years ago I did a series of Top Ten lists for The Guardian. One of those pieces covered a few of my favorite podcasts. Of those podcasts, "Good Job, Brain!" - a top favorite of mine because it's all about trivia - is coming out in book form this September! As a September baby, I can't think of a better birthday present! And for those of you who don't know what a podcast is or how to use your iPhone, iPod, or iPad for more than playing games on Pogo, this is a good thing. You do still remember how to read a book, right? With an average of 70,000 downloads per week, “Good Job, Brain!” is the No. 1 podcast in the Hobbies category on iTunes. Listeners of the show will be thrilled to get their hands on the podcast’s forthcoming book, “Good Job, Brain! 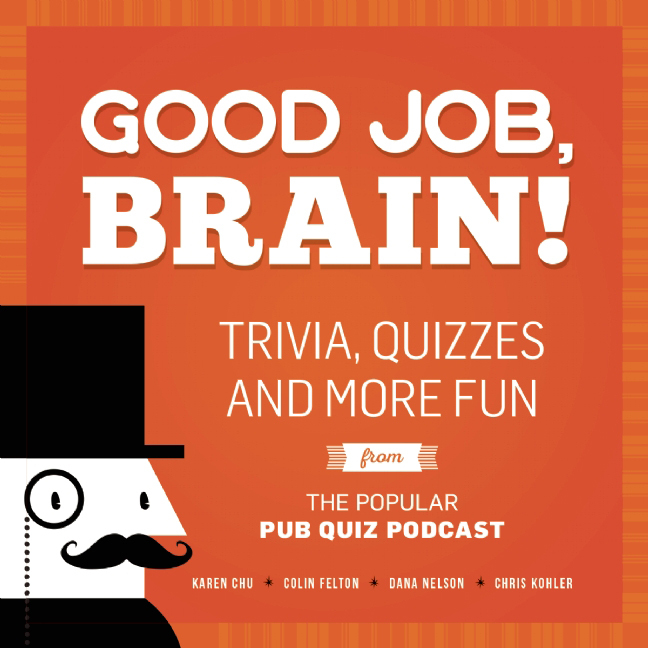 : Trivia, Quizzes and More Fun From the Popular Pub Quiz Podcast,” set for release in September. Co-hosts and co-authors Karen Chu, Colin Felton, Dana Nelson, and Chris Kohler will fill the pages with more than 100 mind-blowing stories, hilarious mnemonics, and tricky puzzles. There’s “Brad Pitt or Lasers,” the quiz that asks which of two unrelated objects came first. Another game, “William Fakespeare,” has readers identify pop songs based on lyrics—which should be easy, except those lyrics have been translated into Shakespearean English. “Good Job, Brain!” also features brand-new content not from the show, including puzzles that make sense only on paper, original poems to help remember popular trivia, and stories about flying tailors and aimlessly traveling ships full of garbage. “Good Job, Brain!” will give the traditional trivia book a fun reboot. This book needs to be on your coffee table, your kitchen table, your bedside table! Or, for some of you, available in the loo. Wherever you think you need mental stimulation. I can't wait to read it. You shouldn't wait either. You can pre-order it HERE. Think about it as a birthday present for me, but really it's for you. Does that even make sense? And if you haven't heard the podcast, you should be listening listen to that also. You can get those HERE. It really wouldn't hurt to exercise your brain a little bit. You don't want to fall into the low-information populace. We already have enough of those people in the world. Works great from Amazon! Took awhile to note however I'm able to feel... such as I can connect the actual spots quicker, we consider racetrams too - as well as without this health supplement I would possess the most terrible headaches! This health supplement eliminates the actual headache immediately - and today I take ahead of time before the racetrack - headaches gone!!!! This ensures which you have a simpler time remembering matters and will surely help to sluggish the signs of ageing and guard the mind from the unfortunate symptoms of getting older. It’s been acknowledged for a while that it is able to assist enhance cognitive function link, lower intellectual fatigue, and guard the fitness of neurons inside the brain.